I love cheese. I can do without meat but cheese, not at all. I grew up in a country where cheese is a national treasure. There are from 350 to 400 distinct types of French cheese, and Burgundy is not left behind with 50 different types of cheese. Artisanal cheeses are a treat for me. I try to buy a piece each month. We love to use them in different recipes or simply, to savour them with an homemade bread, a tasty green salad, some butter, a little bit of apple jelly and a bottle of local craft beer. This is quite often our dinner on the weekend: a good movie, an alchemy of flavors…. simple but delicious comfort foods. A few months ago, a new cheese store has opened in my neighborhood (Danforth Ave ,Toronto). One of their particularities…. they sell cheeses that have received awards nationally and/or internationally. During our first visit, we have had the opportunity to taste two different kinds of cheese, and we came back home with the more intriguing and original one: Barely Buzzed. We needed to taste it again… and do some experimentation using our own foods’ combination. 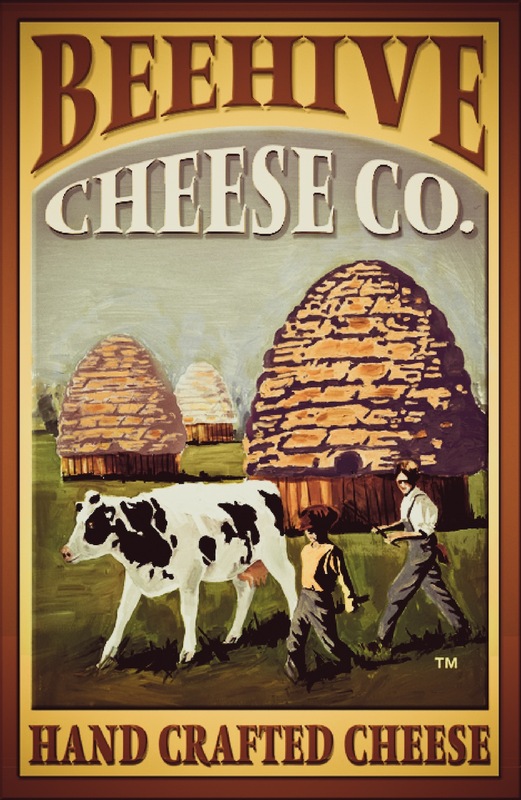 This cheese is produced by Beehive Cheese Co – a family business located in Utah, USA. Made from the milk of Jersey cows, it is a cheddar-style cheese with a smooth, creamy texture and a complex alchemy of flavors. And as they explain in their website… It’s all about the rub! And this is the secret… Could you believe it! 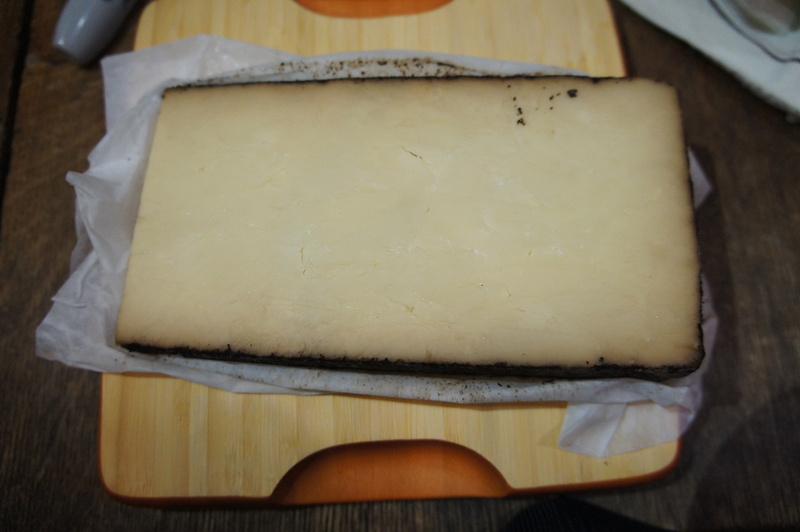 This cheese is hand-rubbed with a unique combination of finely ground espresso coffee beans, lavender and vegetable oil. This original combination imparts a mellow earthiness to the interior and helps the cheese to develop subtle notes of butterscotch and caramel. It is also about the aging process… This cheese is aged on Utah Blue Spruce aging racks in humidity controlled caves, and moved to different temperatures during the four-month aging process to develop texture and flavor. Tasting this cheese was like heaven! Cheese and coffee pair really nicely. Interestingly, the coffee note is really mellow, and the lavender fragrance is still here but more subtle than I could expect. it adds a subtle and clean floral finish. A real alchemy at work! 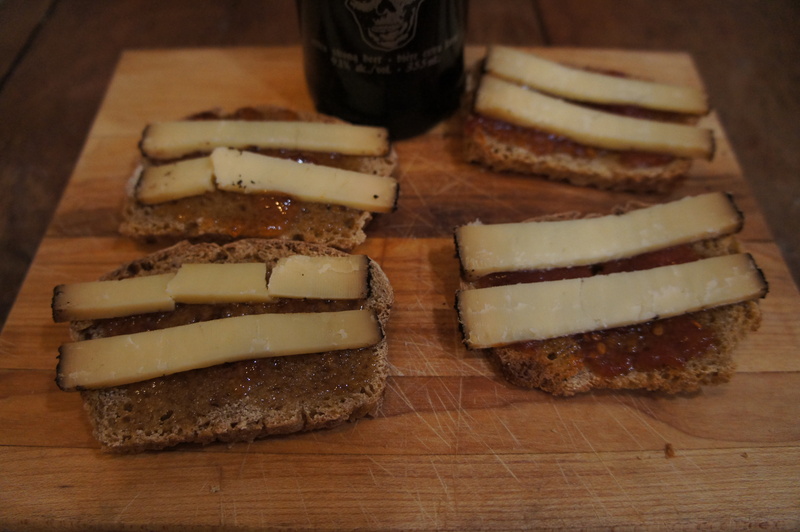 It paired very well with my home-made sour bread, a little bit of apple jelly and a beer, of course. 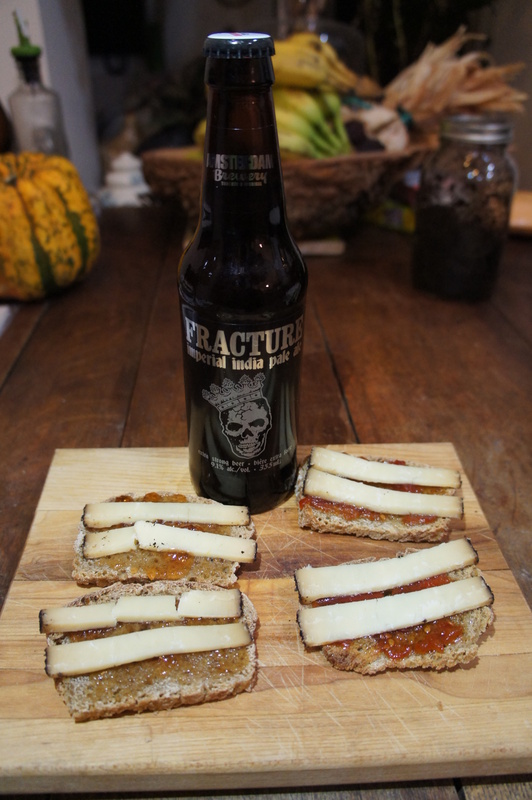 This time we have enjoyed our tartines with the Fracture Imperial IPA beer from Amsterdam Brewery. A perfect combination! I really encourage you to find and try this cheese. You’ll find it quite addictive, may be because of the dark coffee coating. I hope you will enjoy this non conformist cheese …. and let me know what you think.